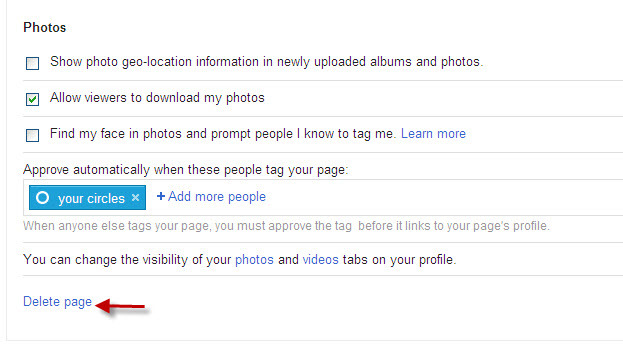 Since November 2011, Google has offered small businesses the opportunity to create their own Google+ Business Page. This is a direct challenge to the supremacy of Facebook Fan/Business Pages. 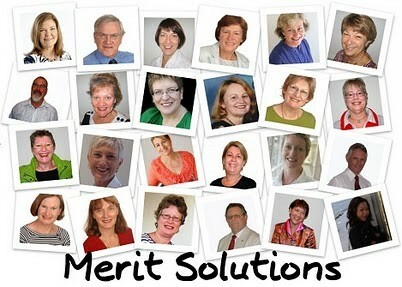 It is a wise addition for anyone engaged in small business marketing. The Business Page is really valuable if you actively build your circles on Google+ and update your stream regularly. 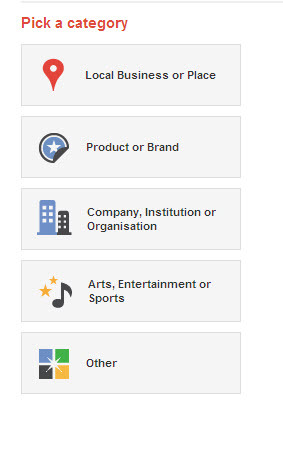 The category you choose determines the initial information your provide to develop your Google+ business page. Company, institution or organisation – includes not-for profits … (might also apply where you are offering a range of brands in different niches). Once you have completed the basic set-up of your Google+ business page, you can then add photos and videos and begin to add content to your stream. When you enter a URL as part of your stream content, Google+ picks up the relevant thumbnail and image and some intro information. Google offers you the option of sharing your new page with your circles. However, I would set up some content in your stream before sharing, so people have a reason to use the Google+1 button to recommend your Google+ business page (and/or share your content with their own circles). Their +1’s will show up as recommendations on Google’s search results and in Google ads. When you post to your stream on your Google+ business page, it also updates your Google Plus stream on your personal home page. This means that the content from your Google+ business page is shared with your circles. How do you delete a Google+ business page? Many people enquire about this issue but there is a lack of information around, and what is available is often out of date (as this advice will be if Google+ changes again). A Google+ business page gives a boost to your small business marketing by enabling you to get closer to your customers (current and potental) through sharing your business message with the right people.